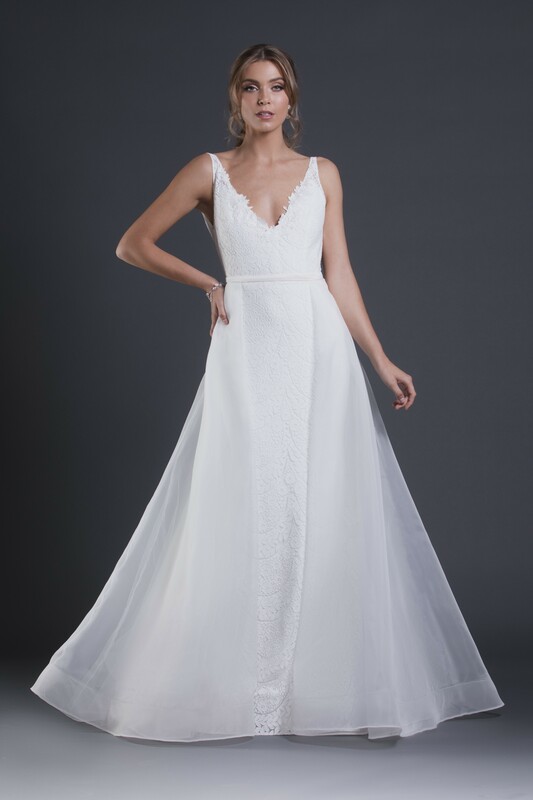 A feminine and confident look, this dress is an all over lace slim fitted silhouette that hugs to below the hips before flaring out into a mermaid shaped skirt. The front and the back of the dress lower into a deep V-neckline. A narrow satin sash sits at the waist. Also shown with detachable organza overskirt.